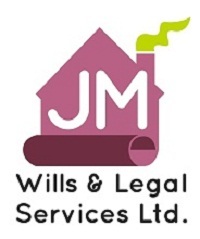 J M Wills and Legal Services are specialist lawyers that can help provide you with professional comprehensive advice and services on a range of Will Writing, Estate Planning and Probate services. So whether you are seeking advice and assistance on making a Will, Inheritance Tax Planning, Trusts, Court of Protection/Lasting Power of Attorney's, planning for your old age, prepay for your funeral or Administration of an Estate then we can help. I have over 16 year experience in this field making your Will or planning for your future does not have to be a hugely daunting experience. We offer a relaxed but formal, warm and easy to understanding and reassuring service from the comfort of your own home. We also offer hospital visits, evening appointments and out of hour visits if required. We approached J M Wills and Legal Services after being asked by another legal company for an extortionate amount to prepare our Wills. Jan came to the house talked us through the whole process in less than an hour. Thoroughly professional service handled it the manner fit for a king. Would recommend J M to anybody. Great service and support. We did not find Jan through Trusted Trader but by personal recommendation. However, the service we received was professional, prompt, polite, in fact everything you could wish for and we have no hesitation in providing positive feedback. Jan was able to provide us with the advice we needed to provide for our children when we are no longer there to look after them. It is a real weight off our minds to know that the proper legal processes are in place for when the time comes. The fact that Jan came to our home helped us to think things through in a relaxed way and we were not rushed into decisions. A very professional and friendly service. Would not hesitate to recommend to anyone looking for this type of product. Fantastic service from beginning to end, a lot easier than we thought it would be and Jan was a delight! She will definitely be on our Christmas card list! Making a will is a serious business but it was made far easier by the friendly, yet professional service we received from them. I was impressed with her ability to make us feel at ease and guide us through what is a complicated procedure. I would thoroughly recommend her. Very satisfied. Quick friendly and informative service. Would recommend. Very good, excellent service, very quick. Would highly recommend Jan Woolley and J M Wills and Legal Services Ltd for wills and probate work. Jan is so professional and friendly, made the process of making a will which I was previously afraid of really straightforward and easy. Great service and recommend Jan to anyone who needs a will! We found Jan to be very friendly, helpful and reassuring. We have recommended her to our family and friends and have total confidence in her.